It should be easy to put yourself standing on the embankment at this opening in the bushes, looking out over a grassy area of a runway, and imagine hearing airplane engines, idling in the distance, come alive, and then getting nearer and finally you see a twin engine Lockheed Electra move past you, straining to get airborne, before disappearing over the water toward Milne Bay. 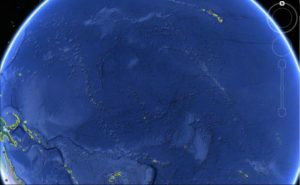 It turns to the Northwest and enters the vast Pacific, in search of Howland Island. Amelia Earhart and Fred Noonan never found Howland Island. 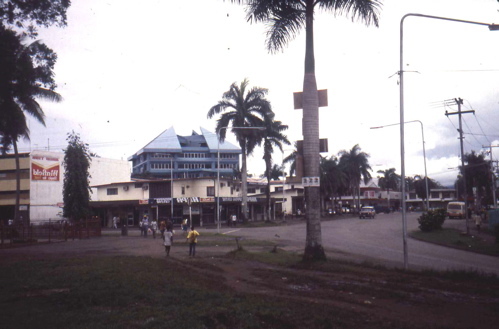 The setting is Lae, Papua New Guinea (6 deg 43′ 47.58″ S and 146 deg 59′ 48.98″ E) and the airport is the old downtown location. The date would have been 2 July 1937. 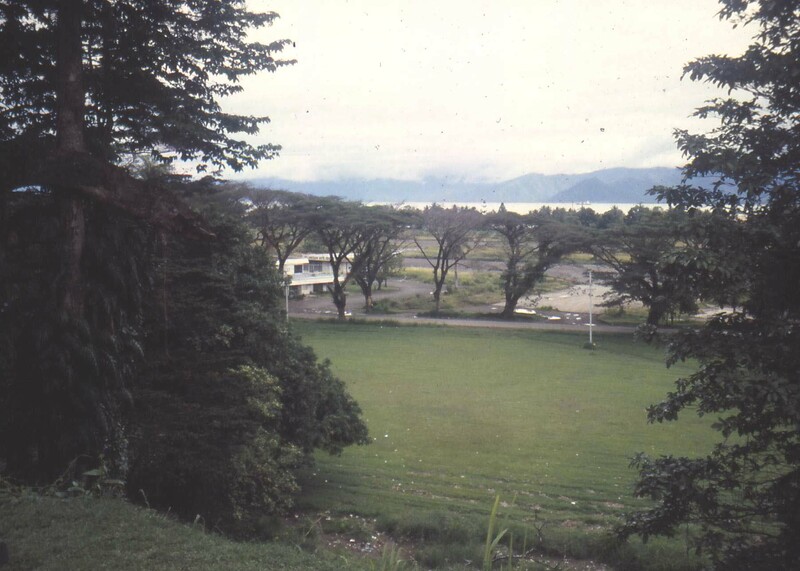 Lae has historically been the port of entry for industry headed for the mining and now oil regions up in the Highlands. The grass runway is still there but the airport has been moved several miles out of town. It now has a hard surface runway facility, capable of handling modern jets. The original “new airport” was built by the Japanese preparing for WWII. But, the downtown setting is still pretty much intact; you can picture the plane on that runway and disappearing over the water. 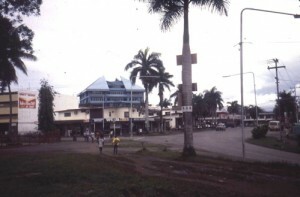 Downtown Lae, across street from photo spot. 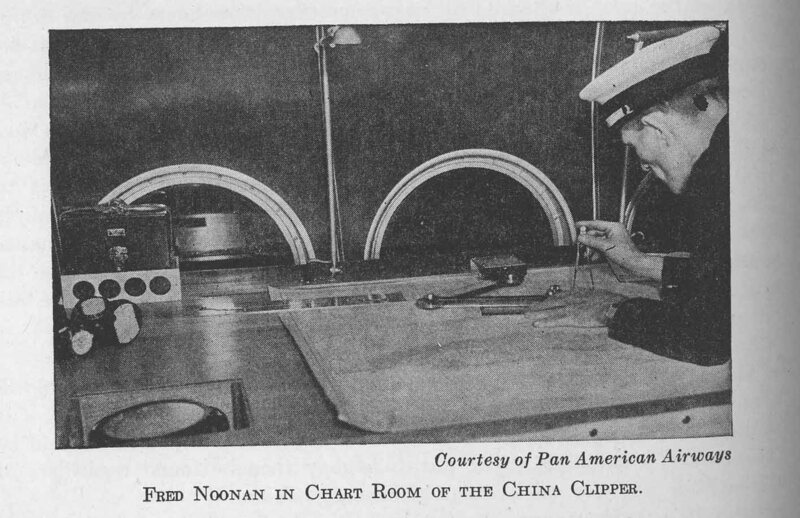 Below is a photo of navigator Fred Noonan at his navigation table onboard a PanAm Clipper, over the Pacific. 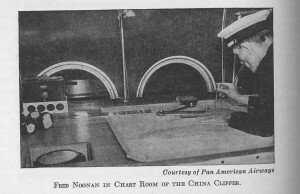 Photo from Weems, P. V. H., and Eberle, W., Learning to Navigate, Pitman Publishing Co., New York, 1943, 135 pp. Note the hangers on the opposite side of the runway. These are gone now, probably moved to the new airport. 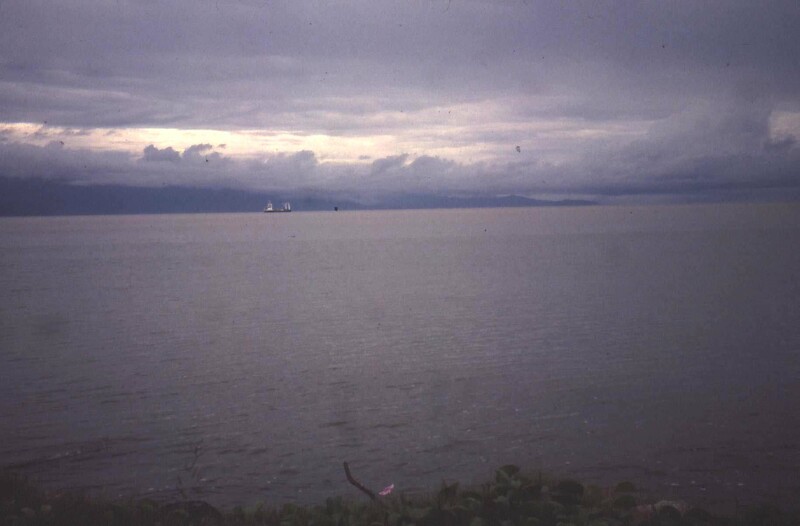 The mountain range is still there. 2018 news report on their fate. Bones were found on Nikumaroro Island, in the South Pacific, the small red dot at the center of the image below, which is South of their intended flight path to Howland Is. 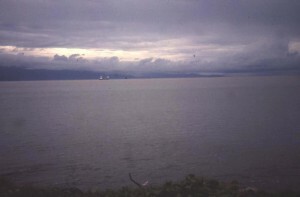 Papua New Guinea is the large island to the left. Lae today is home of much industry still related to mining and drilling of natural resources and is also the home of the PNG University of Technology. The Head of Department for Mechanical Engineering is Dr. John Pumwa, the first PNG native to earn a Ph D in engineering from a US university, Texas A&M in College Station, Texas. The College Station Kiwanis Club has for a number of year funded a scholarship for students graduating from UNITECH in mechanical engineering.